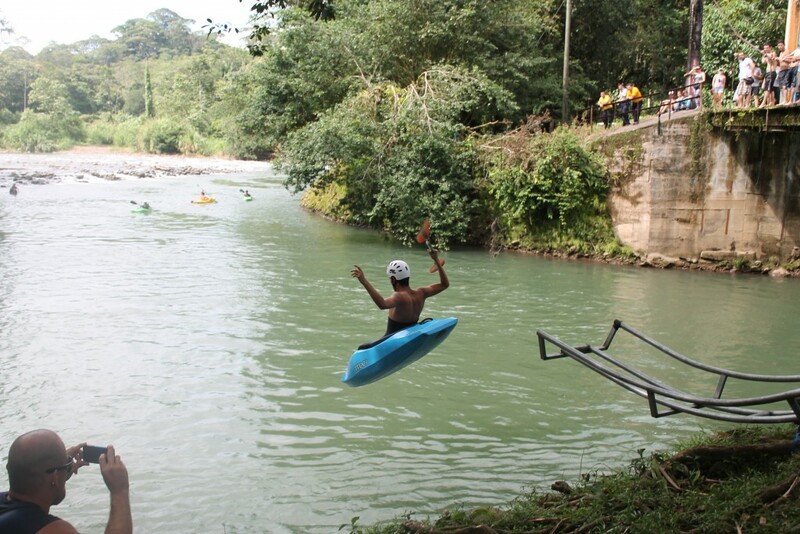 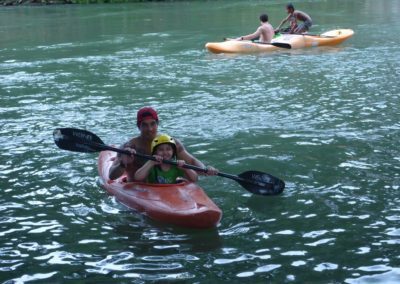 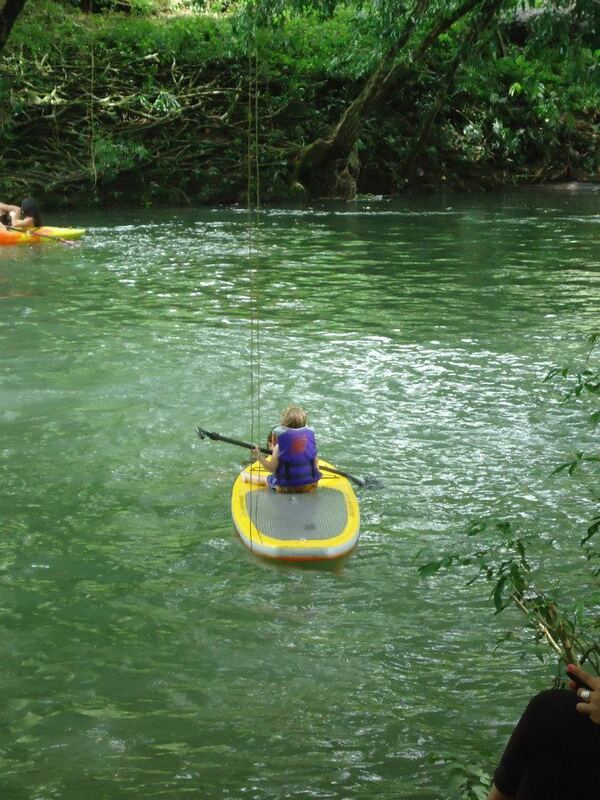 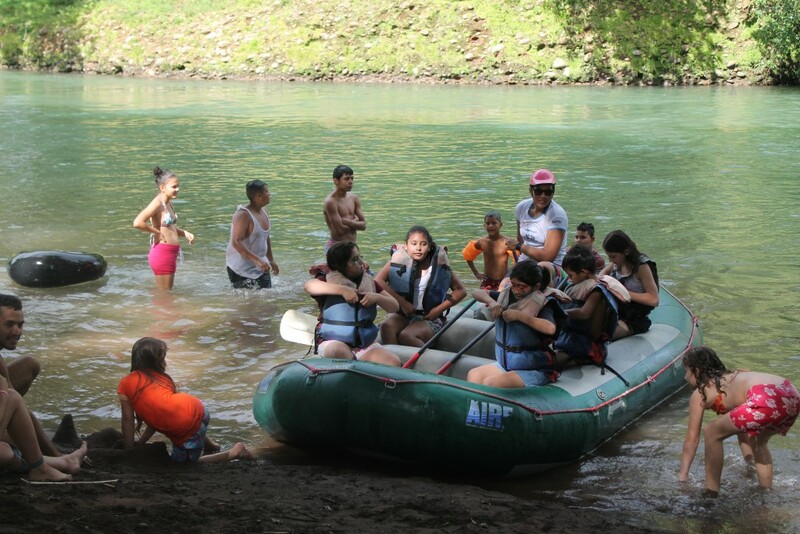 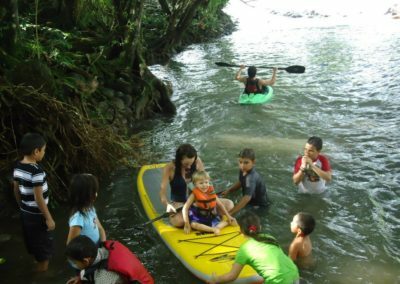 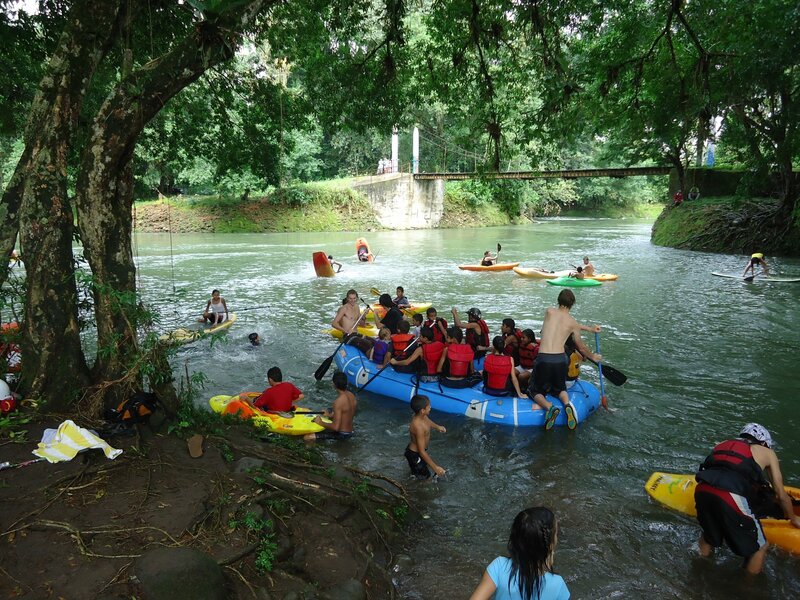 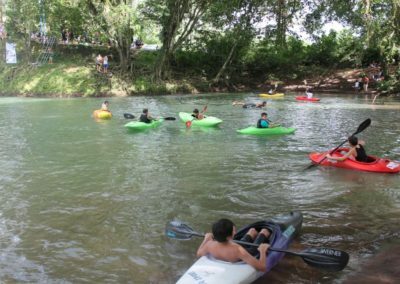 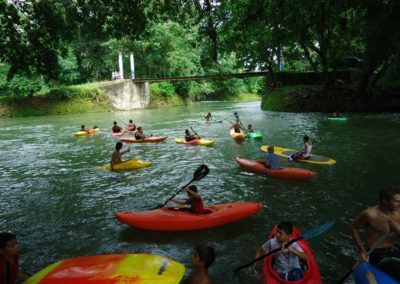 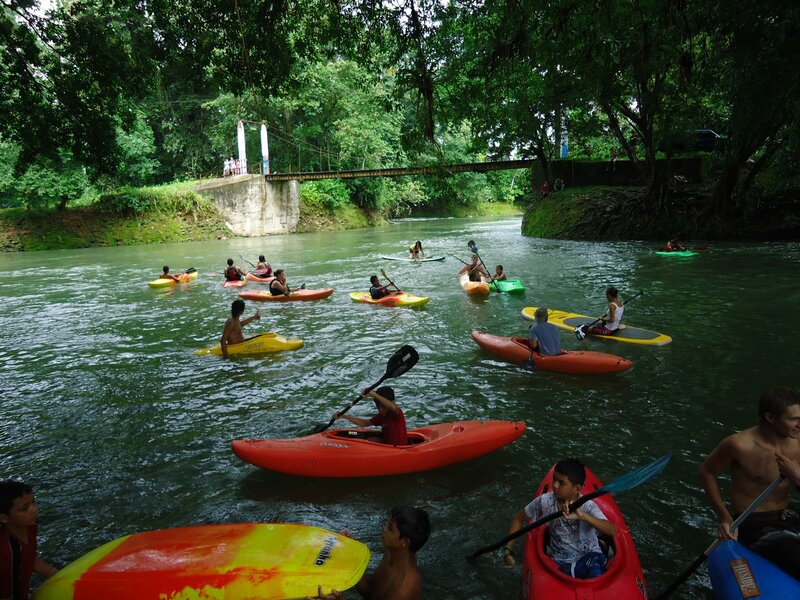 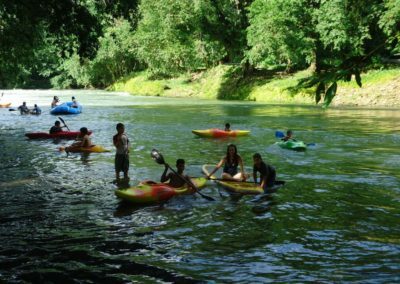 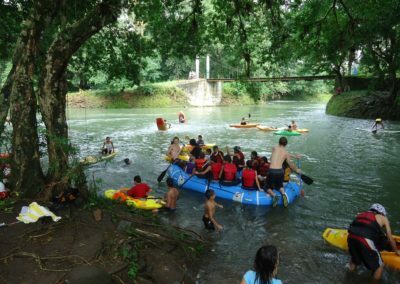 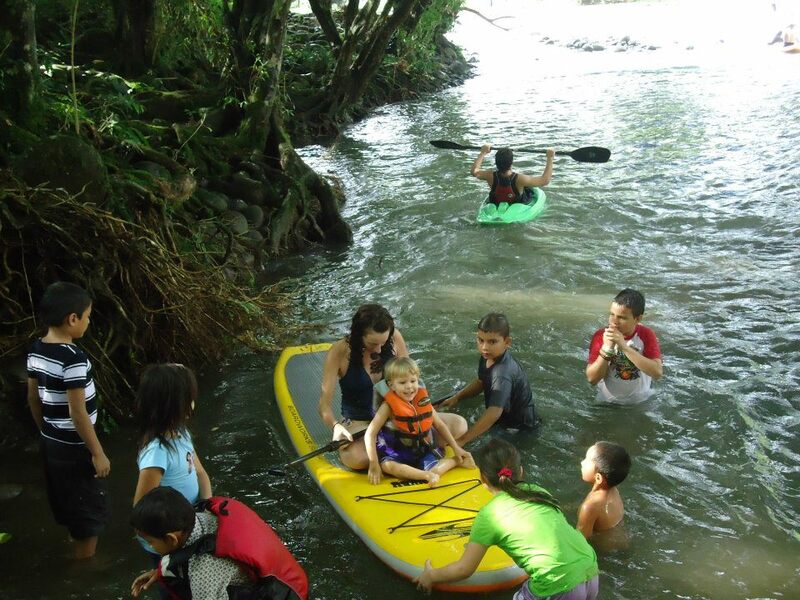 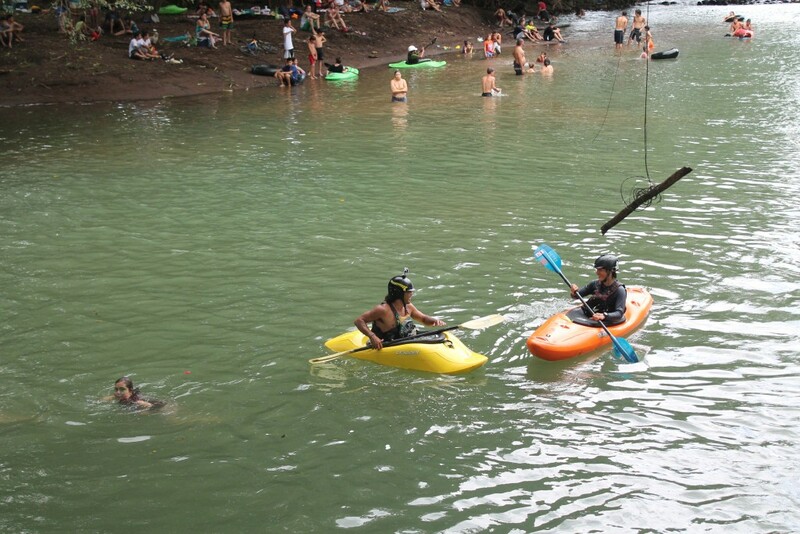 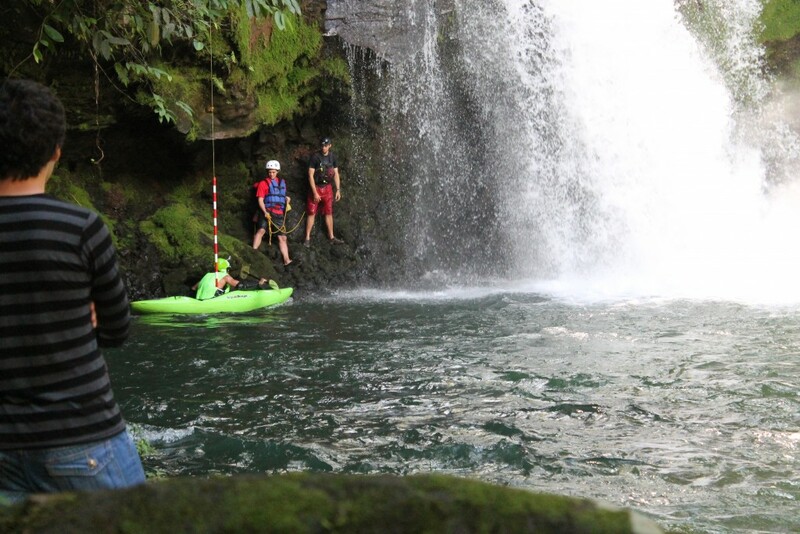 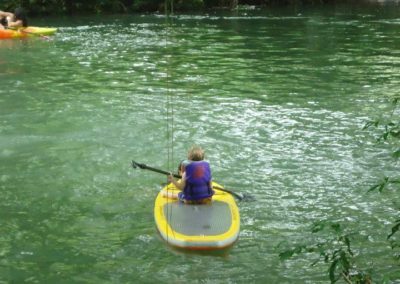 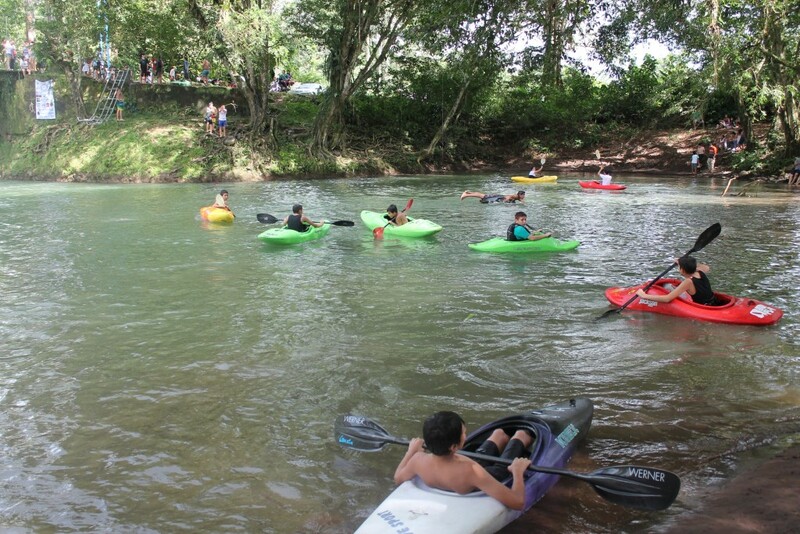 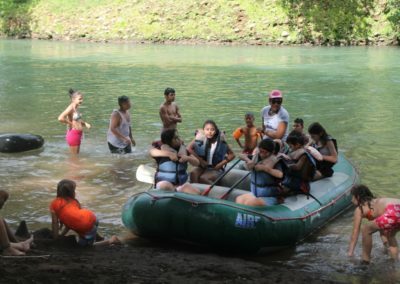 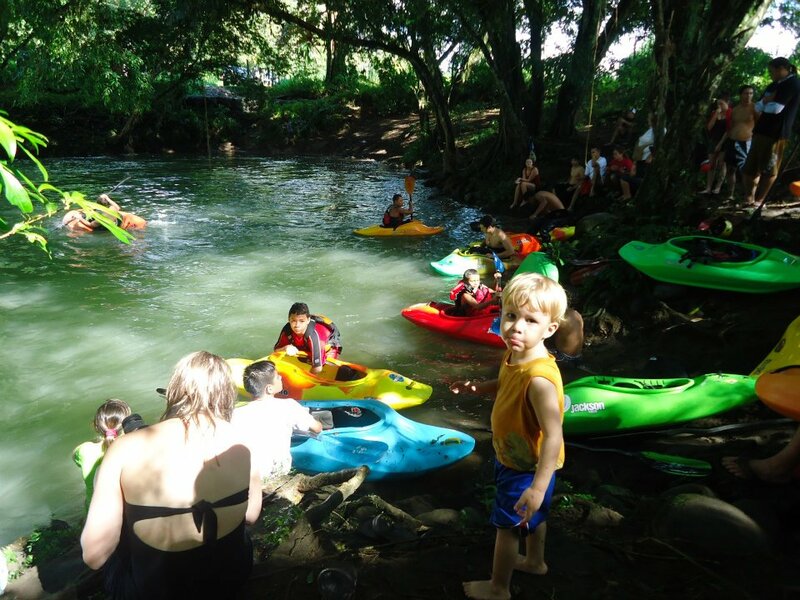 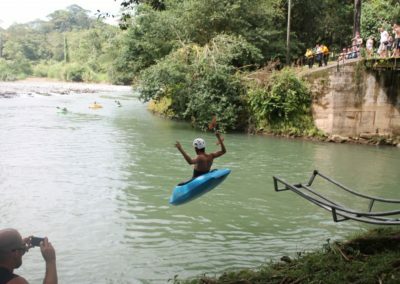 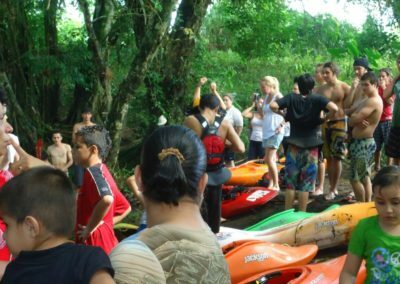 The Sarapiqui River Festival was born as a strategy to promote the importance of conserving and protecting the beautiful Sarapiqui River while promoting river sports and providing local youth and families the opportunity to get on the river and try out rafting and kayaking. 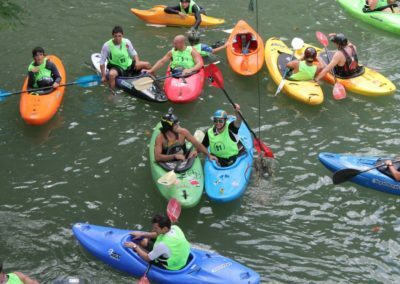 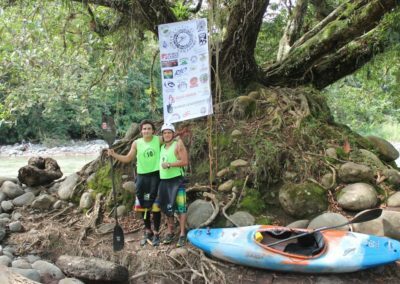 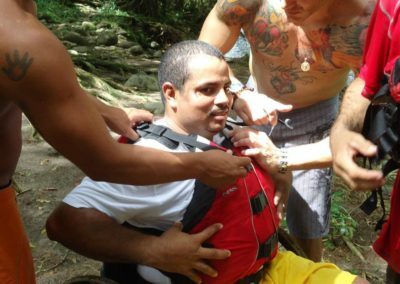 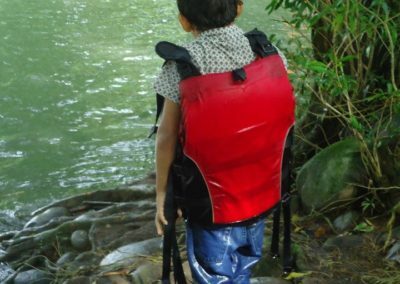 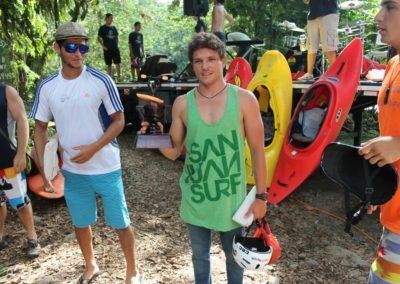 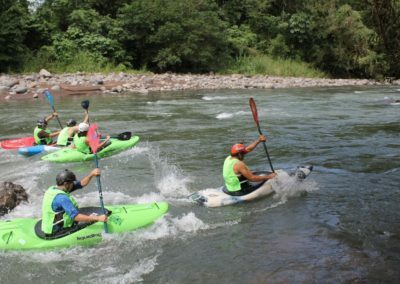 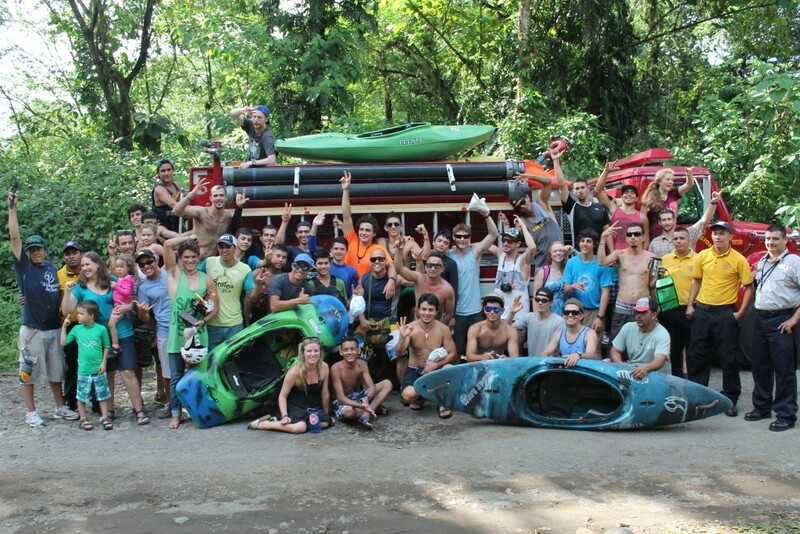 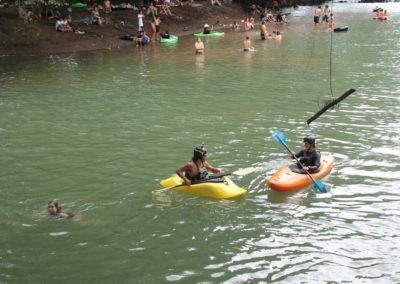 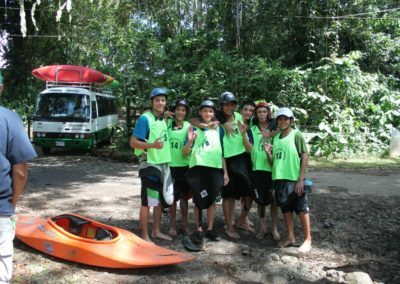 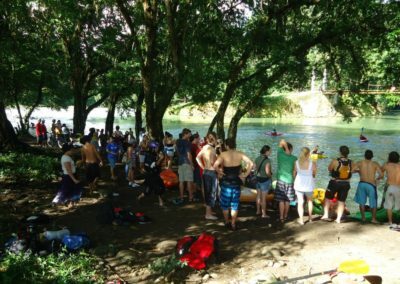 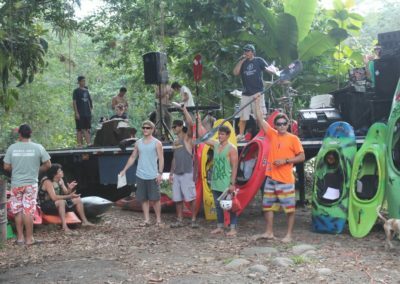 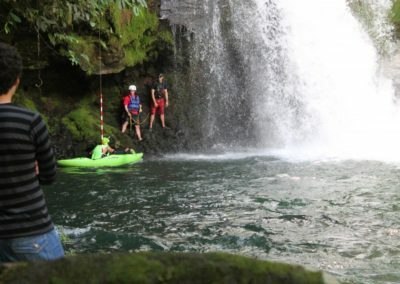 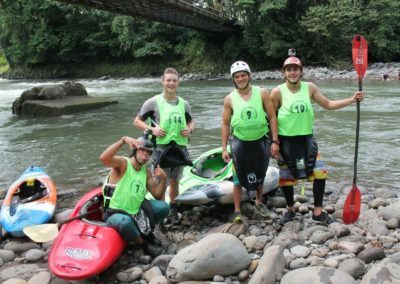 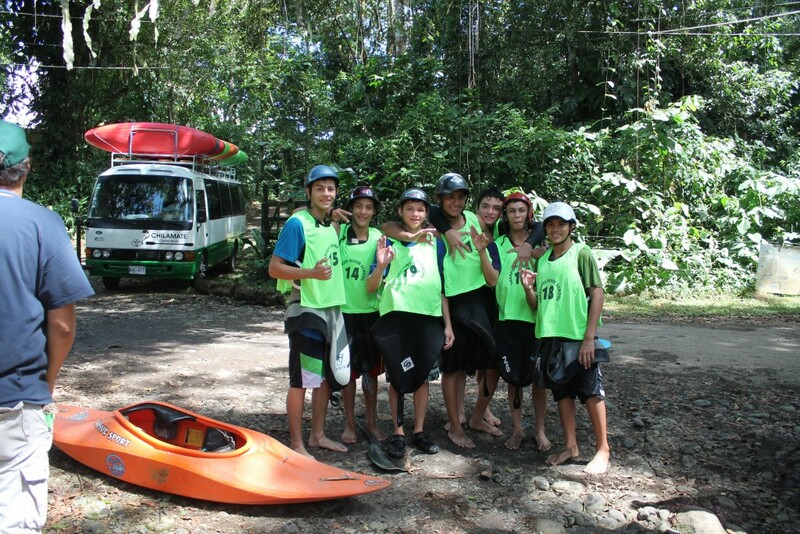 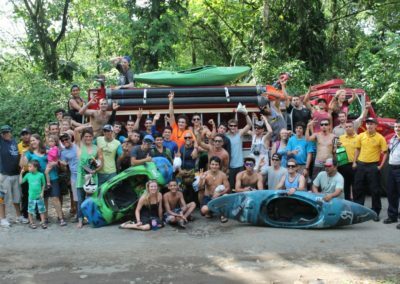 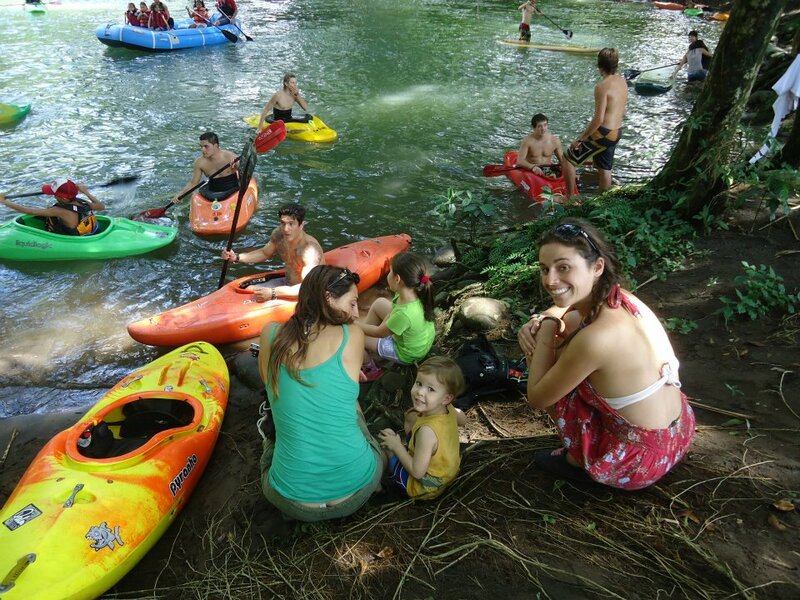 The first Sarapiqui River Festival began in 2011 as a joint effort with Chilamate Rainforest Eco Retreat and World Class Kayak Academy students who wanted to give back to the community. 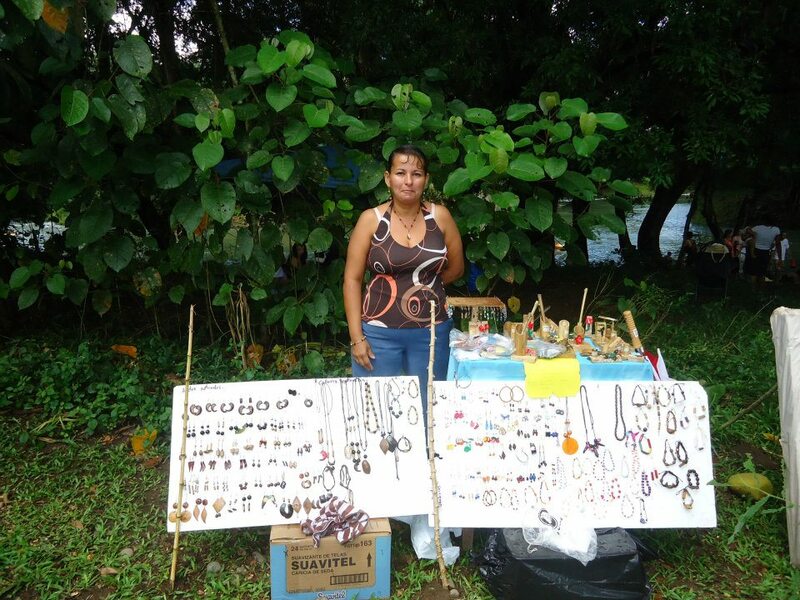 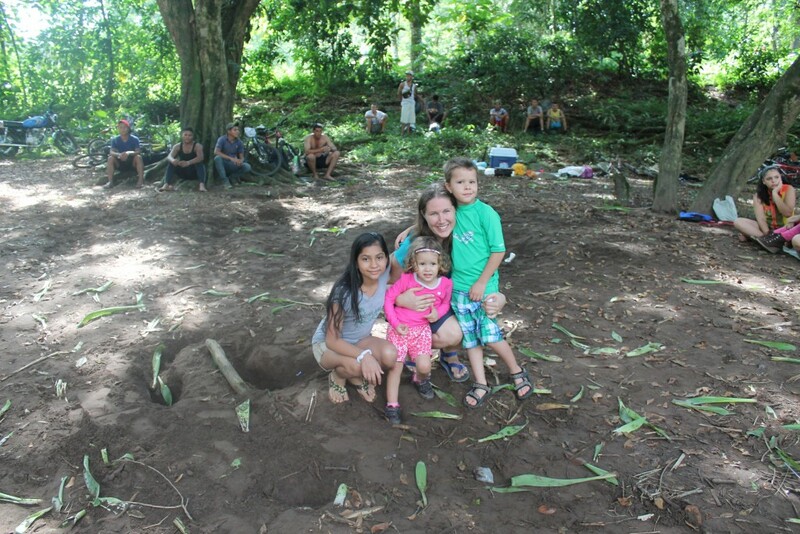 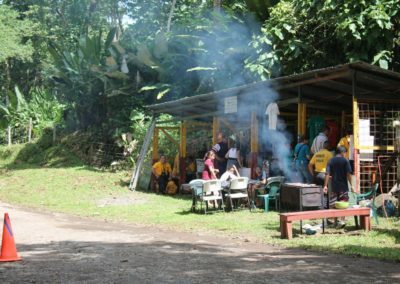 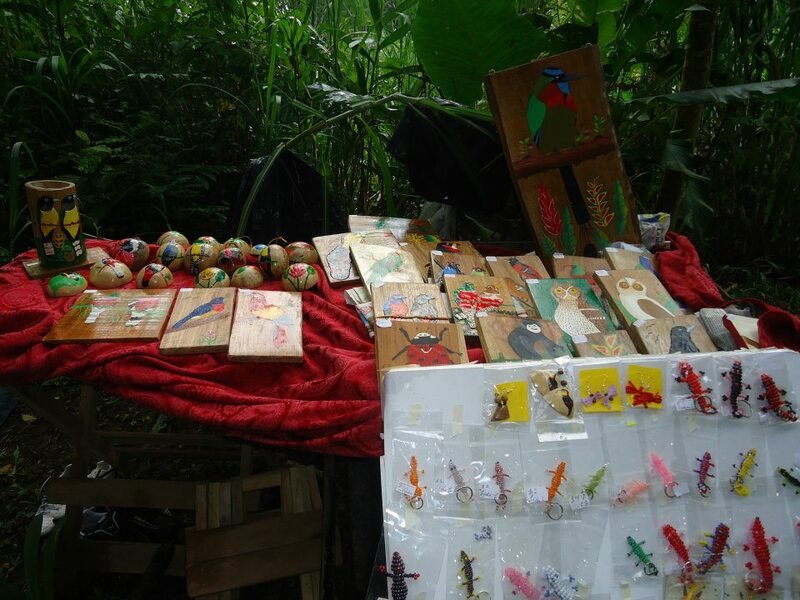 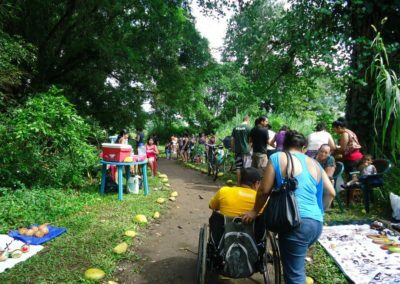 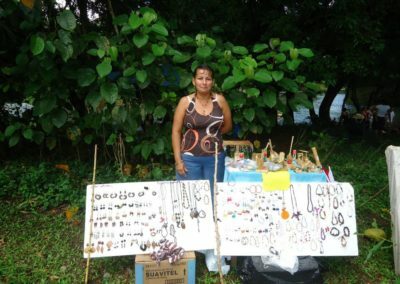 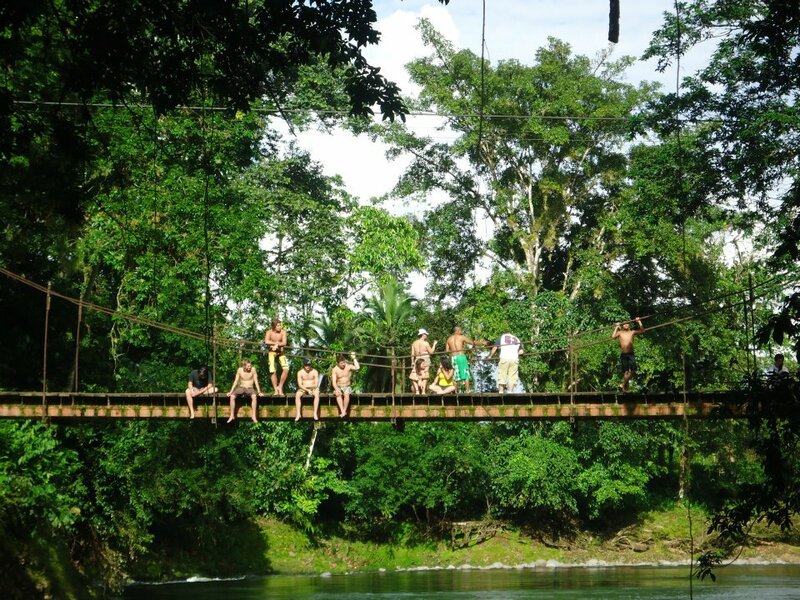 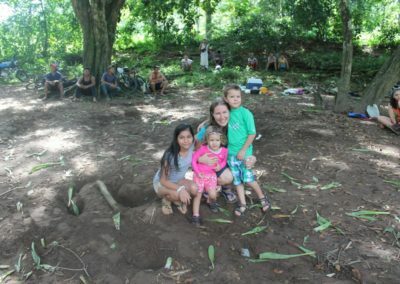 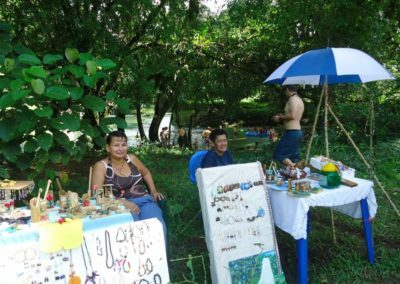 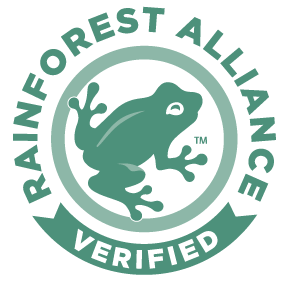 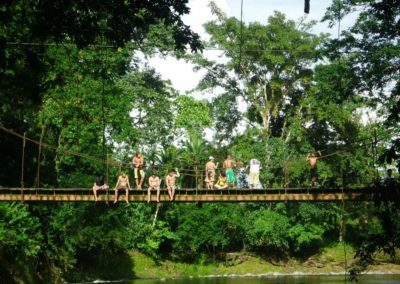 The Festival then became an annual event that Meghan and Davis (Chilamate Rainforest Eco Retreat), in conjunction with a local community organization, Chilamate Activo, organize and plan with the generous support of local and international organizations, businesses, and people. The festival typically takes place over three days and includes a Boater Cross race, Poza Azul Extreme Race (including waterfall jumping! 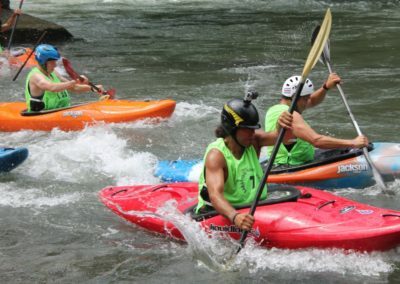 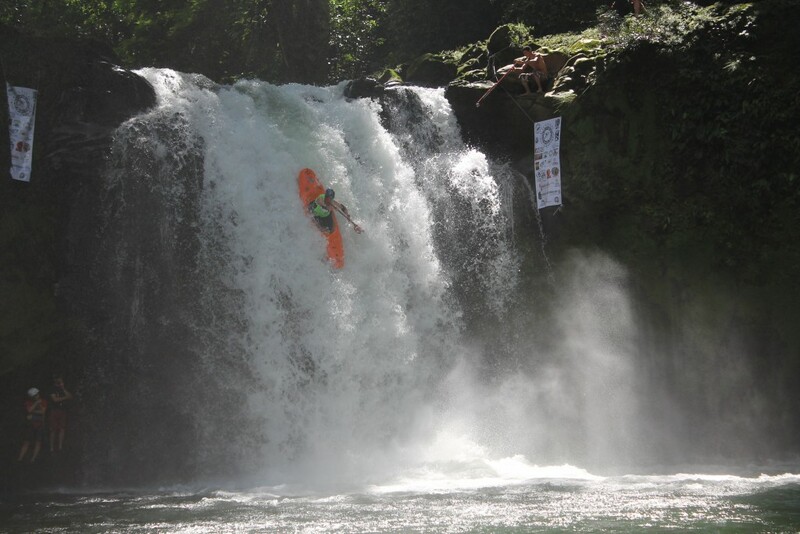 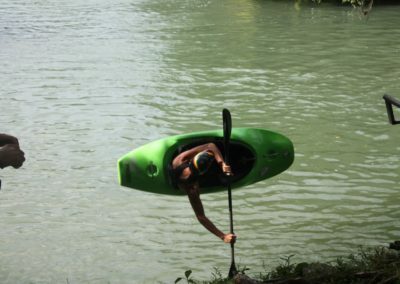 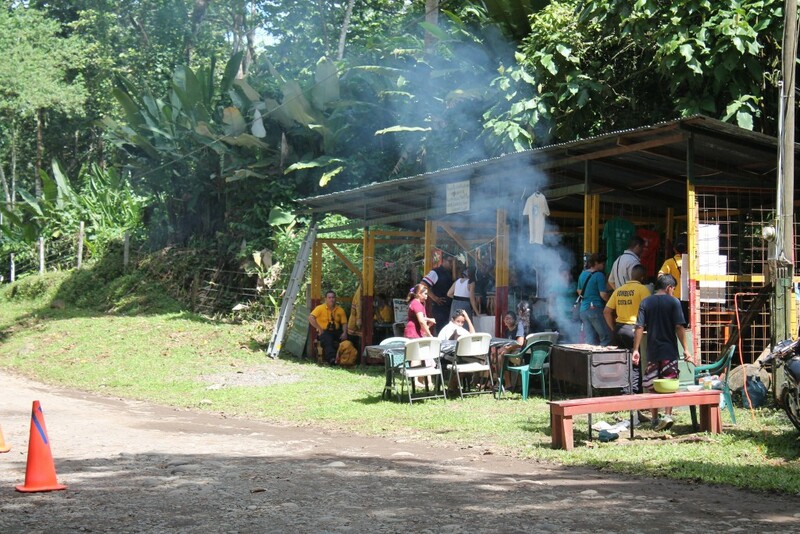 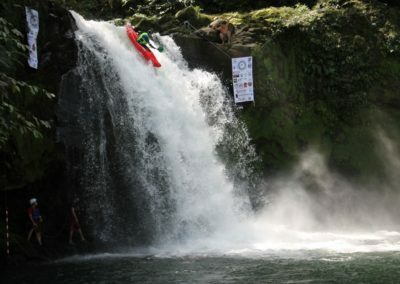 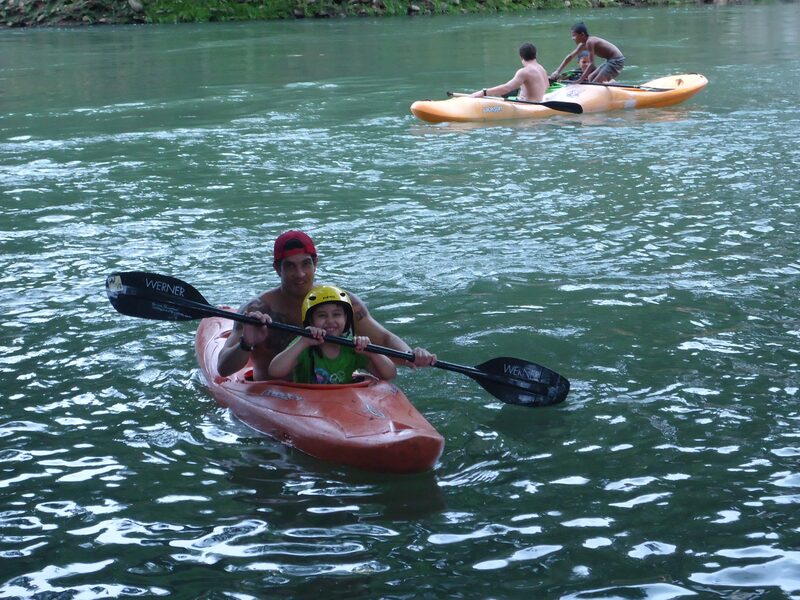 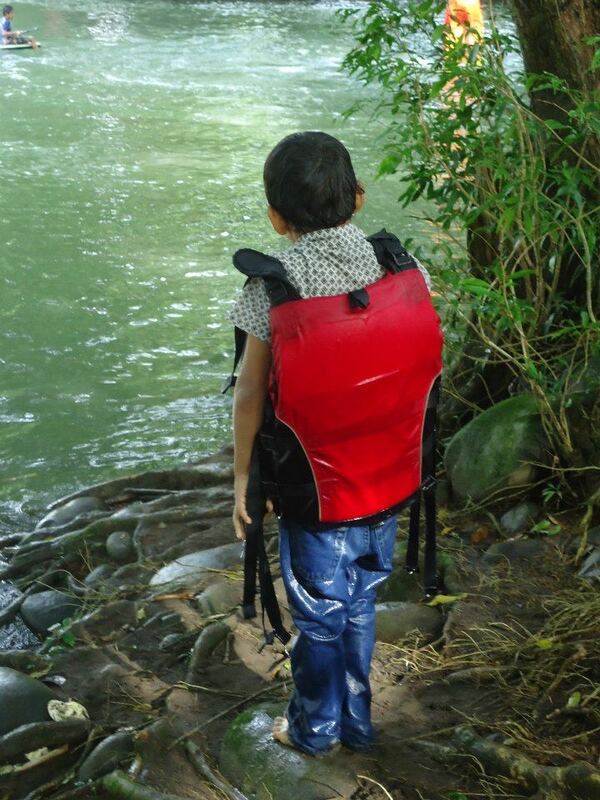 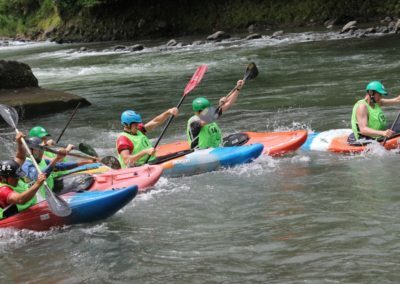 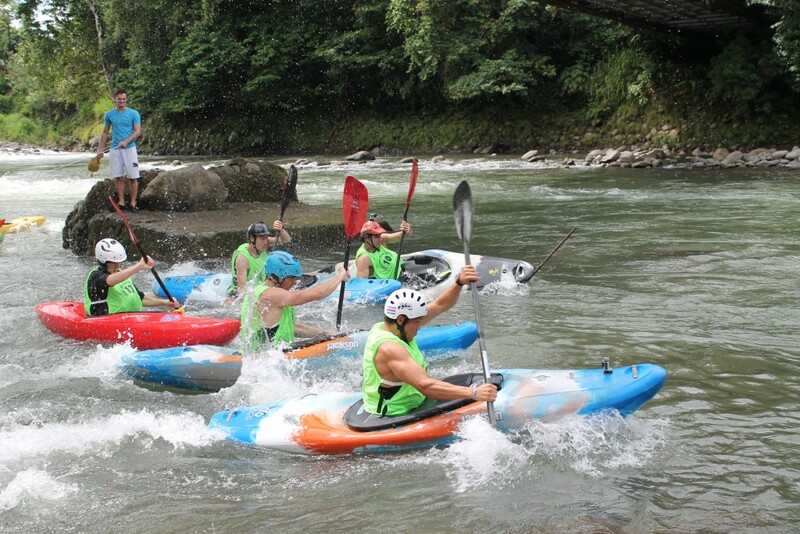 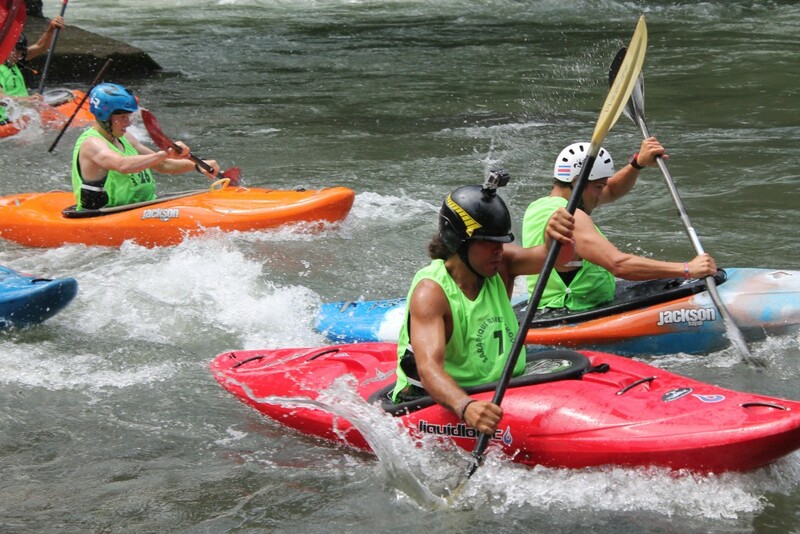 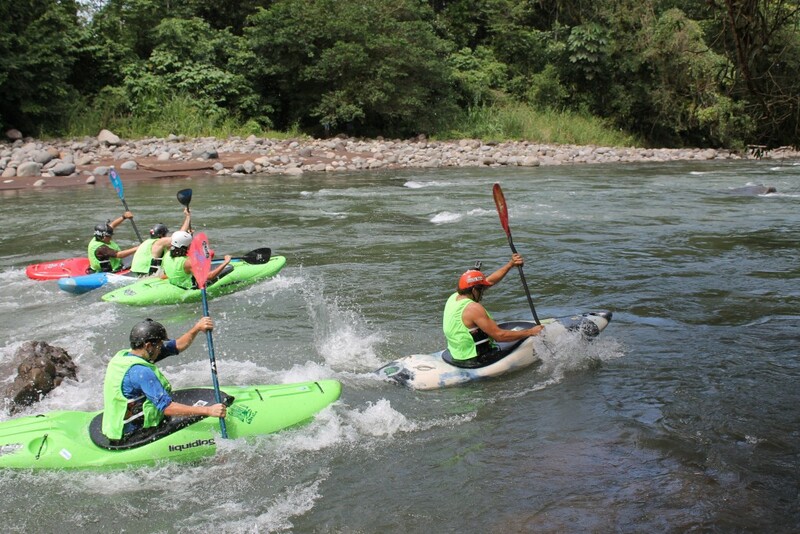 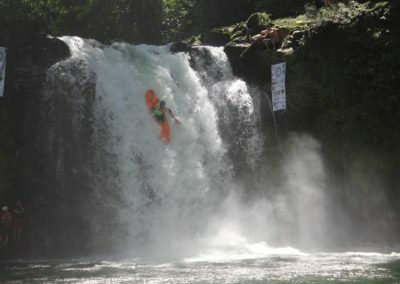 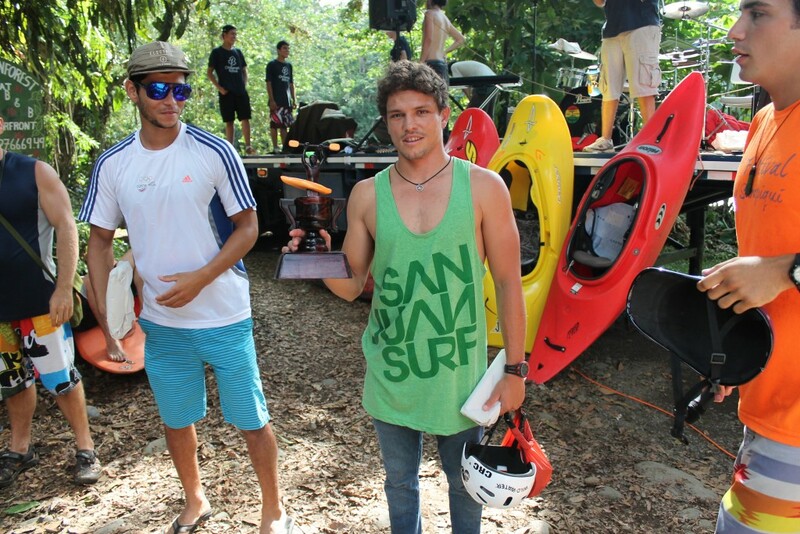 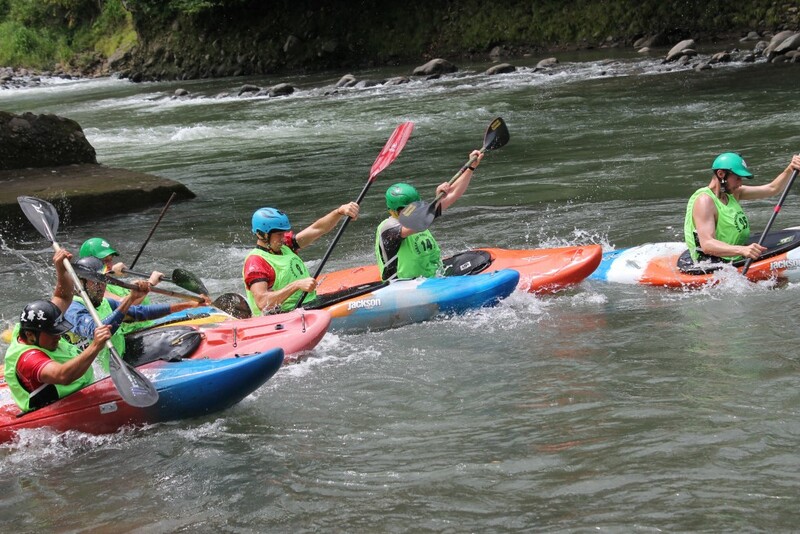 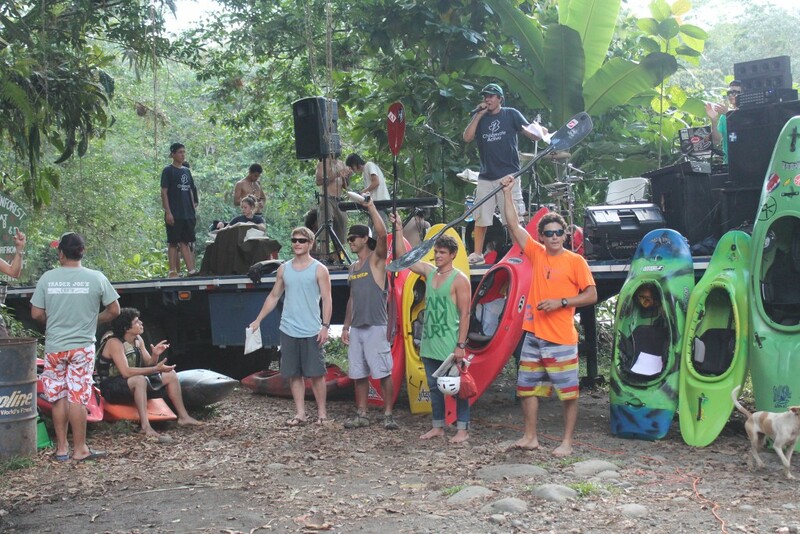 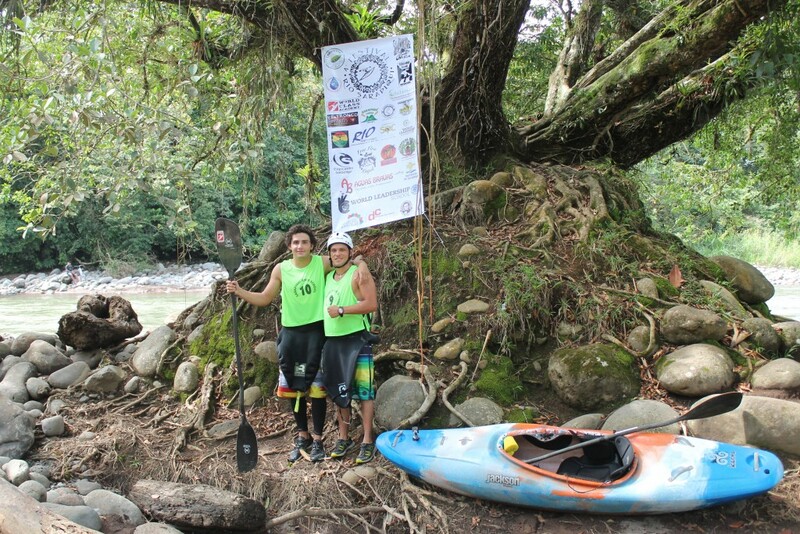 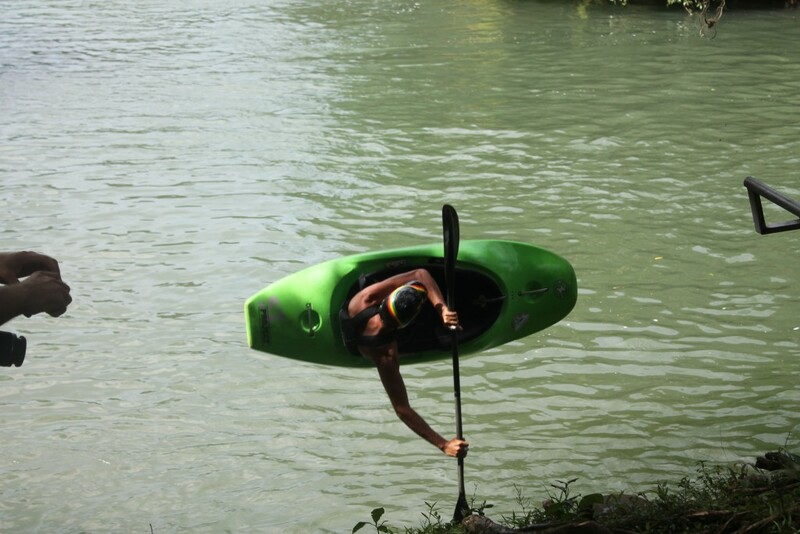 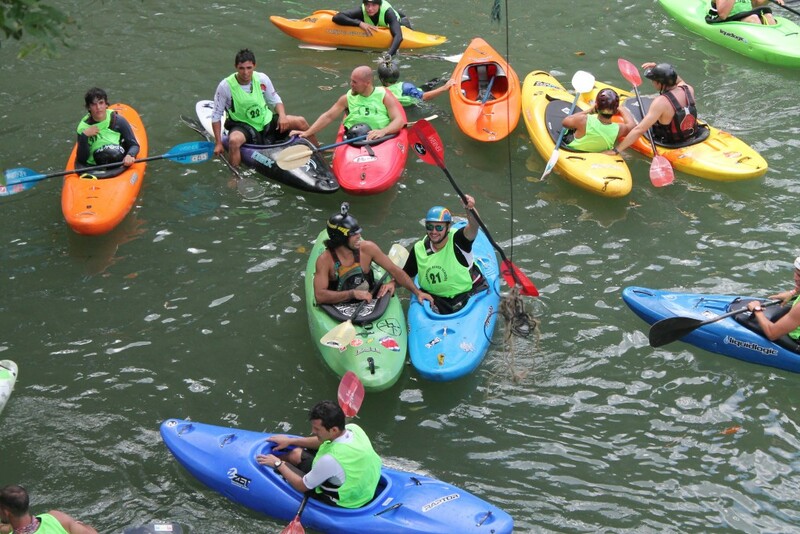 ), and an open race on the Lower Sarapiqui River. 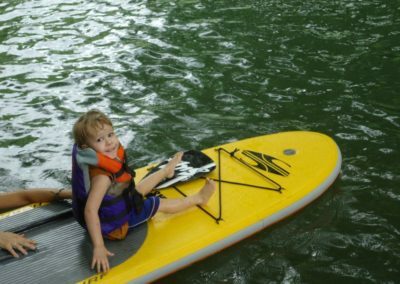 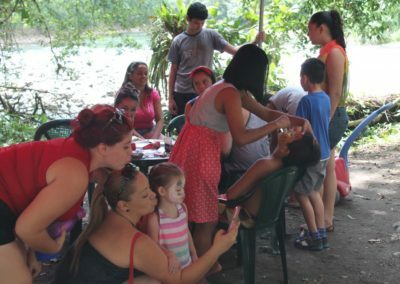 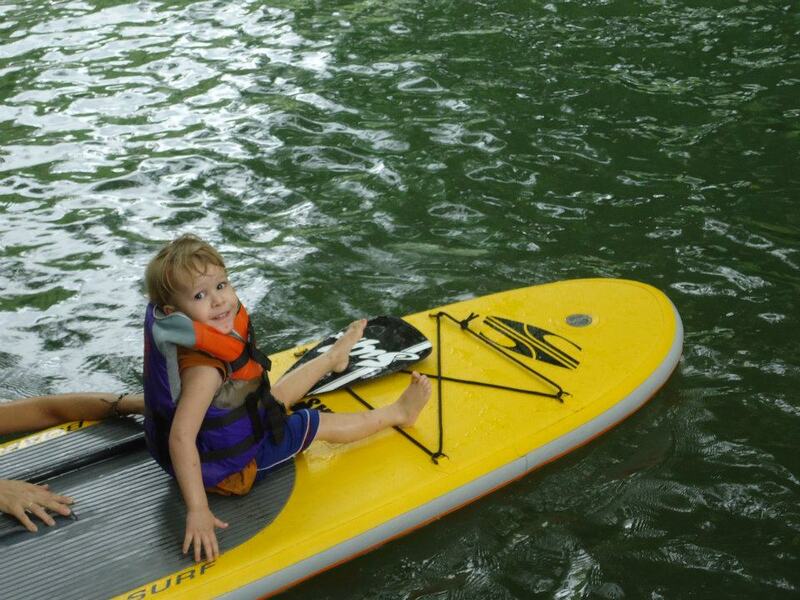 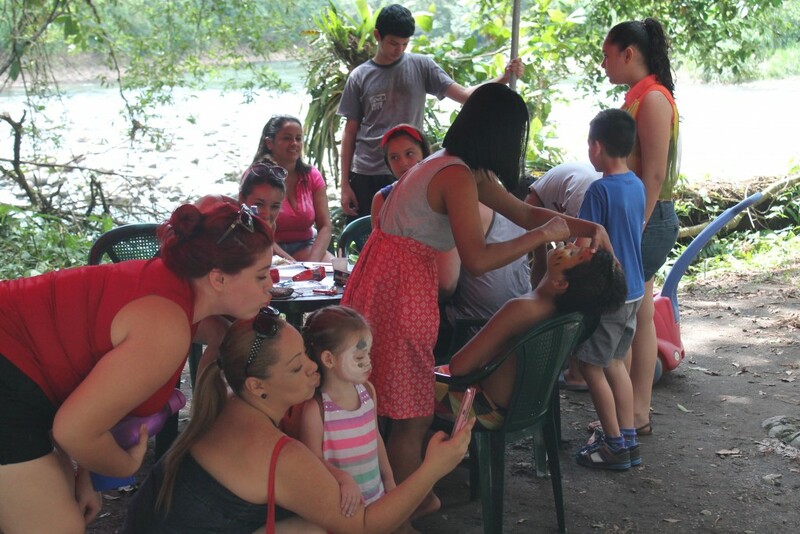 Additionally, there are activities for the entire family to enjoy the river on the final day of the festival. 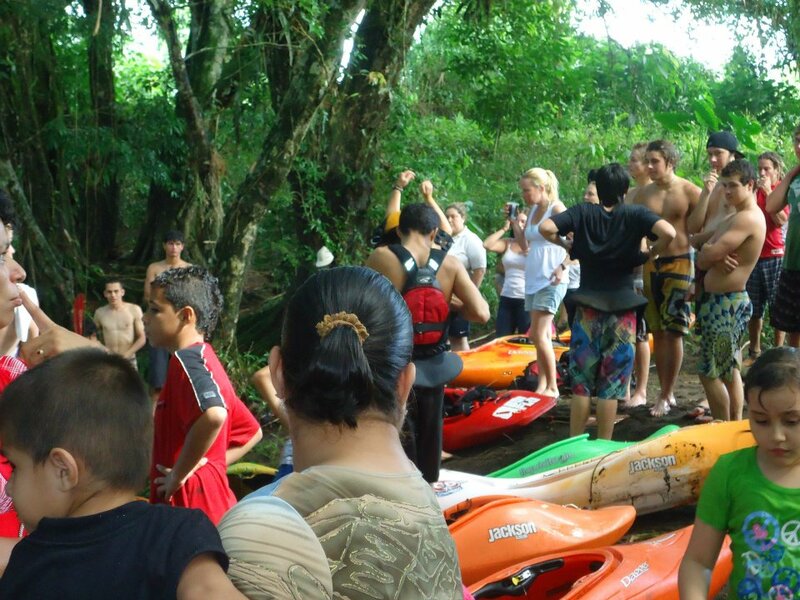 Due to the huge amount of logistics and work involved in organizing the event, unfortunately after being an anual event from 2011-2016, it was postponed over 2017 and 2018 but plans for the 2019 Sarapiqui River Festival are under way now. 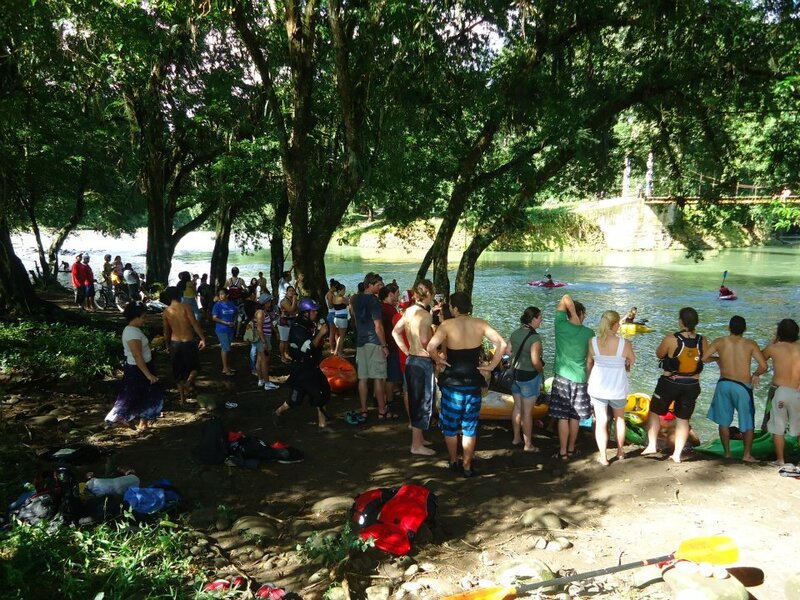 Volunteers and international participants are always welcome. 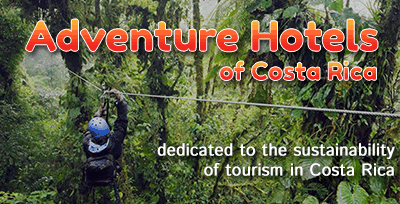 Be in touch with us for more information!